Hi! My name is Joe Van Steen. I'm a "retired" systems architect, a computer programmer, a modeler, and a futurist. Previously, this website served as my personal blog and notebook. Most of the web content was flagged as "internal" or "restricted;" and the majority of what is now on the web wasn't on the website, but was in various documents on my desktop computer. Now, as of January 1, 2017, I wanted to "open the content" of the website to enable peer review, and to enable collaboration and further review on future development efforts. Project Athena is the public launch project for Architected Futures.The project is currently in its formation stage. A project charter is in development and targeted for completion toward the end of 1st quarter 2017. I totally like what Steve Ballmer has done in creating USAFacts.org. It is the perfect civics book for the internet age.The average intelligence demonstrated by a lot of native Americans indicates that either a whole lot of them were never taught Civics, or they didn't pay much attention in school. Naturalized citizens have to take tests on government before they can be given citizenship, but native Americans appear to not really know how their country works. This is the first, in what I hope will be a series of posts, helping (some) new comers to understand Architected Futures, that takes a particular track, along a particular train of thought and story line. From a functional specification basis, it's a form of Use Case. It also defines some persona specification. These are things that are meaningful, and very, very important to software geeks. Like me. But Use Case stories also need to be important to users. It's their Use Case. What I try to do, as I envision and architect (design) systems, is to put myself in the position of the "User" of the system, and I ask, what would I want it to work like, be like, look like, feel like, etc if I were the one doing, living in, dealing with ... whatever. You get the point. There is a balance to that. And a lot of times it isn't appreciated. And, its tough to maintain, but it's easier with practice, like riding a bicycle. I have my own viewpoints as a "User" too, because it's a shared environment. Announcement of policy change regarding management of content on this web site. The purpose of this blog post is to announce a shift in strategy in the development of materials relative to EATS and Architected Futures. 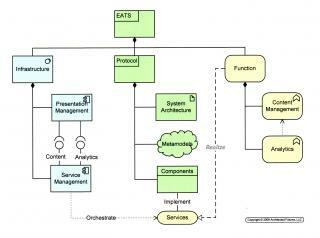 EATS has, of late, been developed to be an open source, open architecture software development effort. However, the totality of what I have wanted to do with Architected Futures has not been approached as fully public material. I now think that, while that may, or may not, have been appropriate when I started this web site, it is not sufficient going forward. As an inaugural post for this public website I thought I'd start with some historical context. Where did some of the ideas for this site come from? What is the origin for the Element Architecture Tool Suite (EATS)? Since I was very young, I've always been interested in the future. What does it hold? What will it look like? How will it come about? In the 1950's, as a young child, I was a big fan of Willy Ley and his books depicting rockets and space stations. The idea of space travel and exploring the planets and stars fascinated me. As I grew older Isaac Asimov and Arthur C. Clark became favorite authors. The technology was interesting and exotic. And there was adventure in exploring new worlds, new ways of living, and an aspect of a new era of "Manifest Destiny" — except this time the expansion was outward to the solar system and beyond. But the other part that intrigues me was the planning, the design, the engineering. Given the vision, how did you go about making it happen? What would be involved in making it work? How do you get there from here? ISO 42010: "An architecture framework is defined as the conventions, principles and practices for the description of architectures established within a specific domain of application and/or community of stakeholders." It's supposed to be 1/1 or, maybe 1st QTR, 2017. From my side, JVS, this isn't about selling you anything, except maybe an idea. But it's about me trying to buy a little of your time, in exchange for ... idea exchange. I tell you what I'm thinking; and, if you're curious, or interested, you tell me what you think. And then we move forward from there. There are lots of viewpoints and versions of my idea all over this web site. But a lot of what is being talked about and documented isn't my idea. My idea is the way I've weaved, and re-weaved a lot of other people's ideas, and then added a little twist of thinking that is my own. So, if you like what you read here, a lot of credit needs to go to the people I borrowed all this from. (And they go back in generations.) If you don't like it, you can blame my "twisted" thinking. To get the most recent version of the Introduction to Architected Futures, click that link. Otherwise, you can wander where you want, or even go away if you're not interested in what you're finding. The introduction can be found in the front of the Architecture Blueprint in the Library if you want to read it later. Or, just come back to this corner of the front page for the link. EATS is an idea, backed by an evolutionary series of real, functional, production and prototype software systems1. 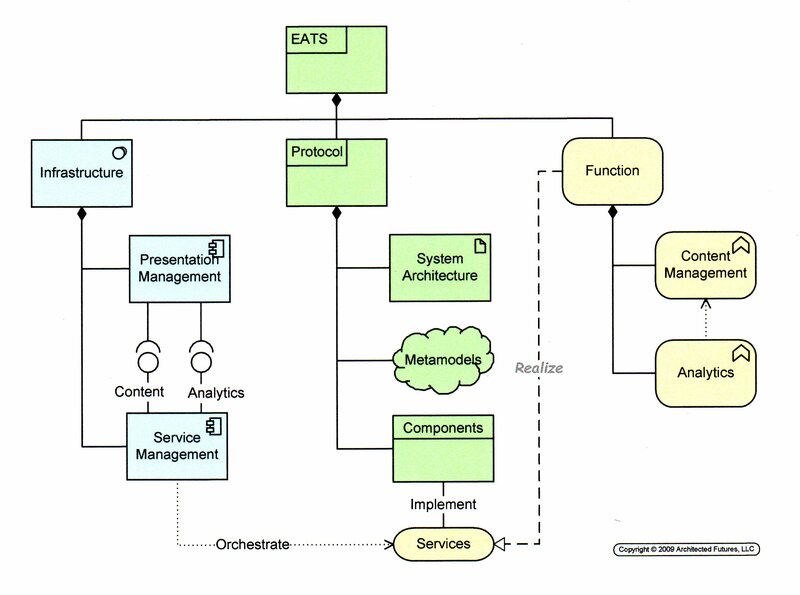 EATS is an evolving pattern based model, and modeling tool, for pattern-based analysis and modeling, of architectures. 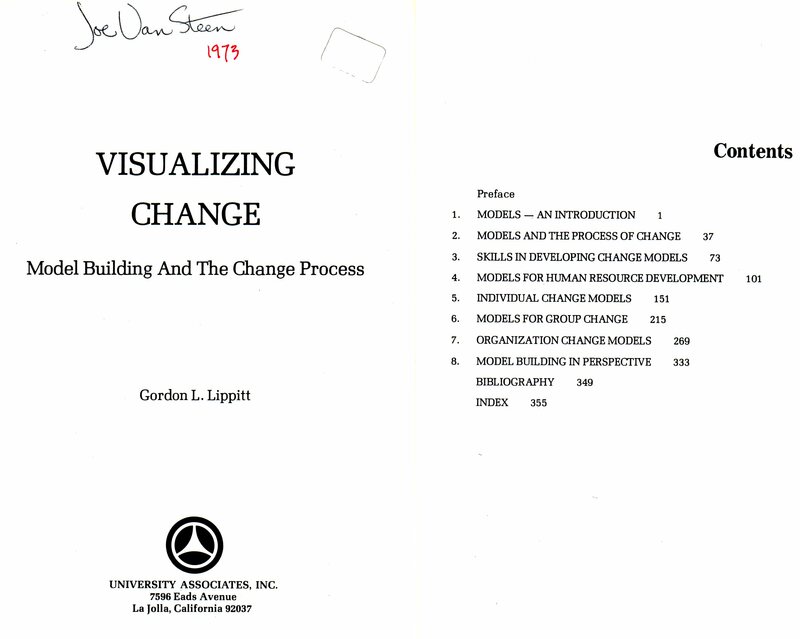 It uses pattern integration (weaving, and multiplexing) to develop and validate emergent ideas about system utilization (composition, construction); and pattern recognition to demultiplex (take apart, factor) complex systems for easier analysis, and life-cycle management. 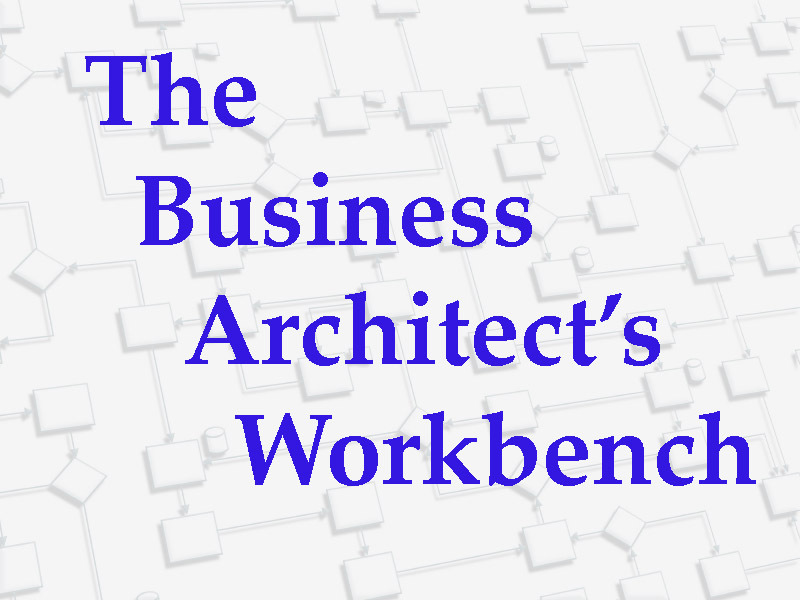 Architected Futures is an evolving application of EATS methods to solve general purpose modeling problems, some of which may involve complex, or wicked features. Architected Futures involves the integration of EATS with utilization by and for human purposes, as a form of augmented intelligence. I call that level of sophistication: Annie. Annie is a "vision" of what EATS is evolving toward. From my perspective, my approach to all of this, I think I'm describing something that might be called a "Idea Architecture Machine Achitecture." That is, the architecture, for an Idea Architecture Machine2. Take a trend line from the Egyptians, Greeks and Romans, folks like Vetruvius, Michelangelo, Mimar Sinan. Sir Christopher Wren, to the tools used by people like Frank Lloyd Wright, through Negroponte's work, then through the 2012 link in terms of how architecture for towns, buildings, cites, urban environments, etc. are accomplished and maintained. There is a severe bend in the line around that Negroponte analysis and time point. It probably looks pretty close to a 60-90 degree angle depending on how your graph looks. That is a representation of the "culture shock" of hitting the information age for architects and city planners and contractors and related industries. Then, think about all of the other "vectors" where computers and automated systems are being used, or are planned to be employed in AI capabilities. Think about the complexity on both the manufacturing or development side, and the issues for "users" of these devices. Think about things from how we drive cars, flying (space?) craft, helping to use bionics to assist amputees, or interfacing between you and your network of associates on a myriad of tasks. TV only started in 1947 people! And what are we doing now? I'm talking about trying to put some chaordic management over that explosion of technology so that we don't burn the place to the ground with an accidental fire. And, at the same time, harness some of that chaos and make it more effective for people to use, purposefully, in their lives. An architecture, for coordinating collaborative architectures, and facilitating their dealing with architectural dynamics. MOF Architecture. 1. See: Context, Genesis, and EATS Product Concept. 2. I could possibly call it a meta-architecture machine. That might help a few people, but I doubt that they are a majority.